Experience one of a kind Arizona products here! Fun and exciting gifts for that special someone or for someone who has everything. AZ products such as gift baskets, memorabilia, aloe vera products to name just a few... Better yet, you can purchase these unique items in one centralized place. Support our site by purchasing through us. With your support, we will be able to serve you -our visitor- better! Thank you! And if you have a love for salsa, you can buy perhaps the best made salsa. Check Arizona Salsa Company. Their salsa is made with all natural ingredients which is another example of fine items made here. 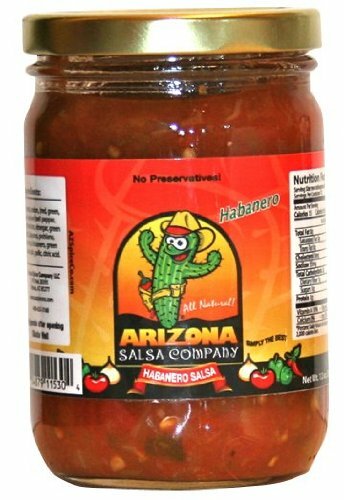 If you like salsa, you will likely enjoy Arizona seasonings, also made right here in this state. Speaking of seasonings, here is a favorite of mine... break off a little from a rosemary bush and put on your favorite food item on the grill for several minutes... unbelievable how it adds a gourmet flavor! Arizona Sun Skin Care is an essential in this Southwestern state. You will find hand and body lotions to help protect yourself or someone you love. 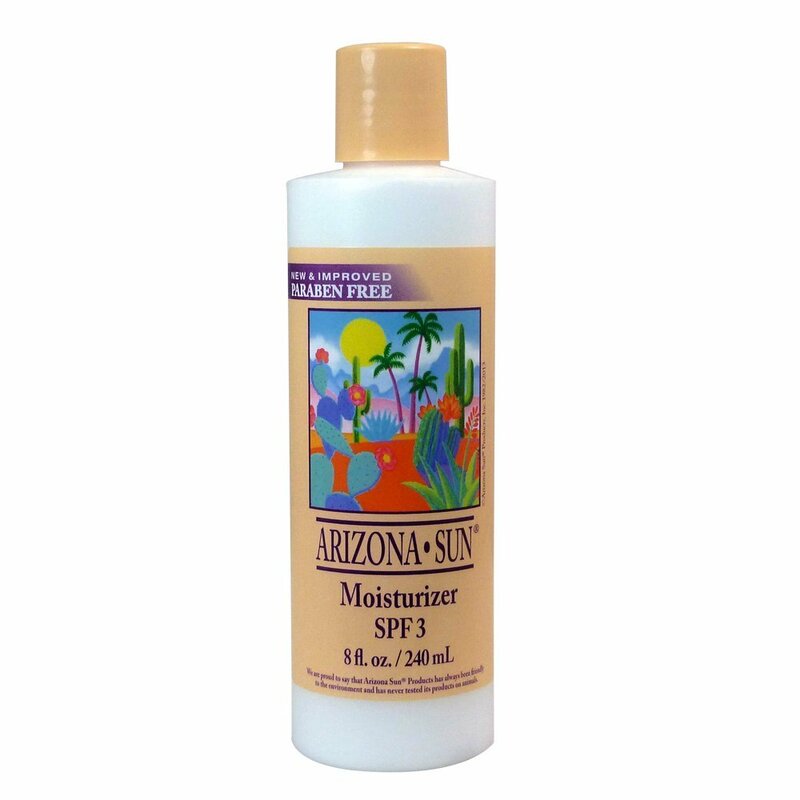 Some of the Arizona products that they have include gift baskets containing bath items and moisturizers with natural ingredients are an easy find! These gift baskets are made with such natural ingredients like Aloe Vera, cacti, jojoba, mistletoe, sage, and even wild roses are some more of Arizona products. Arizona Products are becoming more popular as the state continues to grow and as entrepreneurs continue to pop up here in Arizona. Arizona is also home to Boeing, a big employer of many jobs, creating many of the needed items for airlines and also for our federal defense. Besides many entrepreneurs starting up a business of their own, Arizona is known for many manufactured items such as metals and computer electronic equipment. You will find many small businesses known for creating some real unique items, some using one of our natural resources such as timber. You will also find plenty of entrepreneurs creating customized furniture pieces and so much more. Others have created businesses creating their own scrumptious salsa recipes, jellies, and other food creations, again, using some of the fruits and vegetables grown right here in the desert! If you would like us to add something to our list of things made in Arizona, please feel free to contact us! We would love hearing from you! Agriculture is a big reason we have so many AZ products. Ask anyone who has been here decades and they will likely tell you a story or two about some very hard working ranchers they remember… in fact, you will still find ranchers but there are certainly less when compared to the early settlers’ of the Grand Canyon state. You can still find dairy and beef farms and you don’t have to usually drive very far to see one, which I appreciate, having grown up in Wisconsin, known for dairy farms. Arizona is known as having a pretty substantial lettuce crop, which is actually our biggest crop, equaling approximately 20% of our state's total crop production. Our state is still home to many agriculture livestock fields. We have farmers who solely produce beef producing cattle, pork producers, as well as dairy farmers as well as plenty of eggs being laid! All of these efforts contribute to Arizona's agriculture industry, which means millions of dollars to our economy. Our state is also known many other AZ natural products such as fruits... oranges, lemons, grapefruits, olives, dates, cantaloupe and honeydew melon. Love them all! Just as tasty are the vegetables… broccoli and cauliflower just to name a few… hay and cotton, are some other agriculture commodities in Arizona. Our principal crops include cattle and dairy goods while manufacturing is the leading economic activity here in Arizona. Arizona products can found in our mining. Arizona takes top honors of being the nation's leading producer of copper, which is considered the most important mined product of the state. We are abundant with many natural resources which help sustain our state's economy. Copper, as you might guess, was and still is, very important to the AZ economy, and the most mined product. According to the Arizona Mining Association, we are the leader in our nation when it comes to copper mining. Other resources such as rock, sand, coal and gravel, including crushed stone also big economic items. If you are looking to buy something for someone who seems to have everything, Arizona Correctional Industries Prison Outlet Store carries a wide range of Arts and Crafts produced by inmates incarcerated in Arizona. I have stopped in to one of these such stores in Florence, Arizona, and was more than impressed with the items that were made by the inmates at the multiple prisons made in Florence. What's nice about the pieces that the inmates make, is that a certain percentage of the income generated from the sale of the inmates work in the store is used to cover restitution costs and operating costs. Did you know that the famous musician, Alice Cooper, resides here in Arizona? He is one of our most famous Arizona products! Gifts and collectibles bearing his name are also some more examples of unique items found here. Alice Cooper music, books and other closely related items are available. 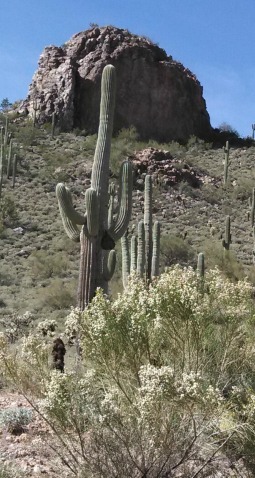 If you are looking for a real piece of items characteristic of Arizona, how about a Saguaro Cactus? How about adopting a saguaro? That's right, you can contribute to the "Adopt A Saguaro Program." Although some industries such as communications, high technology research and development, and various service industries may not actually produce products, per se, they certainly have played a huge part of Arizona's success. With the ongoing population growth, Arizona certainly has successfully produced countless new homes in the housing industry. Arizona is abundant with the minerals that it holds, with copper being the states most valuable mineral. Arizona also leads the nation with its copper production. Resources such as cement, gravel, molybdenum, and sand, are also added to the list of Arizona products produced here in the state. In the northern part of the state where mountains make up the majority of the geographical region, the Ponderosa Pines and other firs supply the lumber and various building materials are a primary source of income for many. There are over 3.1 million acres that make up the commercial forests in the central and northern part of the state, thus creating many Arizona products. Between the years 1940 and 1960, Arizona's population dramatically increased more than 100 percent, according to InfoPlease. Since that twenty year span, the growth has only continued to climb. And by the 2000 census, the cumulative increase since the year 1940, has equaled more than 1000 percent along with being ranked among the fastest growing states in the nation. Arizona's northern mountainous areas, however, have not increased in numbers like other areas in the state. This increase in population has also meant an increase in goods. If you are looking for unique Arizona products, you will have more than enough to choose from. We are constantly updating this page and will be adding additional resources, so please bookmark this site and come and see us soon! Use the search box bellow to quickly find the Arizona Products you're looking for!